Badger Daylighting™ provides hydrovac service to the Transportation sector which includes: airports, roadways and railway infrastructure. All of which depend on safe and expedient repairs to ensure efficient and continuous flow of traffic. Any disruption to these services can have a paralyzing effect on operations with far reaching implications and can potentially result in a substantial loss of revenue. 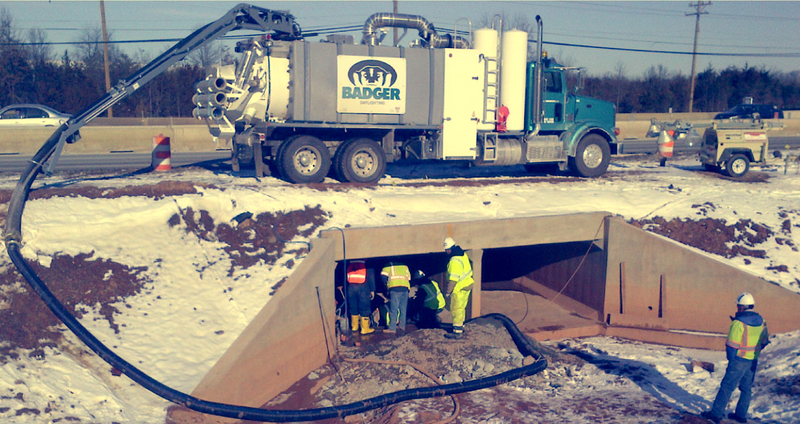 The Badger Hydrovac System is a reliable and non-destructive excavation method ideally suited to quickly and efficiently excavate (daylight) buried infrastructure in these types of unique work environments. Badger’s high rate of productivity minimizes the time required for utility excavation or maintenance. The non-destructive nature of the system ensures the operational integrity and safety of each project. The minimal impact of Badger’s Hydrovac system results in significantly reducing costs and transportation delays. We have an extensive service coverage network throughout Canada and the USA. Find a location nearest you.